Have you ever had a child lose a tooth and either forgotten to leave the tooth fairy money under their pillow, or gotten ready to do so only to realize you have no cash? Well, I have. It’s the worst feeling ever. You either have to truck yourself to the bank, or if you have forgotten to leave the tooth, you have to come up with some magical story about how the Tooth Fairy couldn’t get because she tore one of her wings or the weather was just way to windy, so flying conditions were bad. Last night, I read that a friend forgot to get cash for the tooth fairy and was stuck, and I thought…hmmm…there has to be an alternative for these situations. I put it on my list of things to think about and WHAM! At about 3 am this morning it hit me! Why can’t the tooth fairy write a check? I mean, wouldn’t that be easier than having to come up with cash? And if you have forgotten to leave the money under the pillow, wouldn’t it be awesome to go print a check and leave it lying somewhere an say, “Oh! 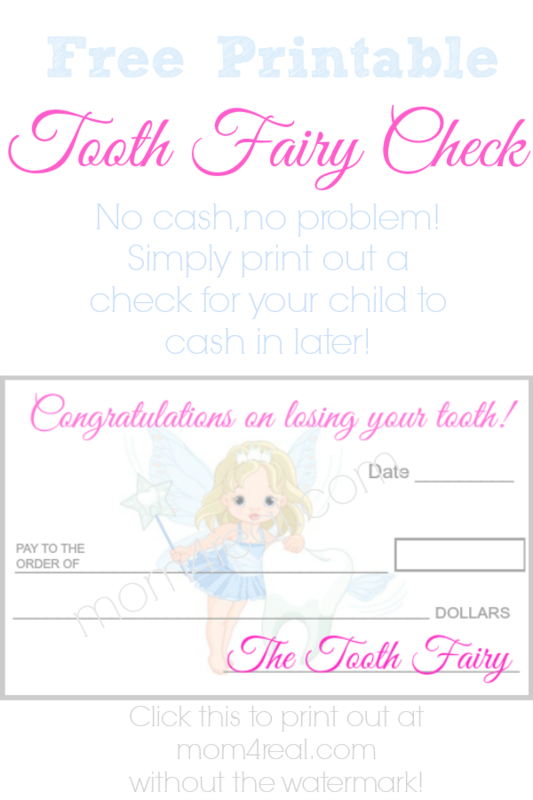 The Tooth Fairy must have accidentally dropped this while she was flying away!” This way you can have your child give you the check to cash for them…at your own convenience I might add! 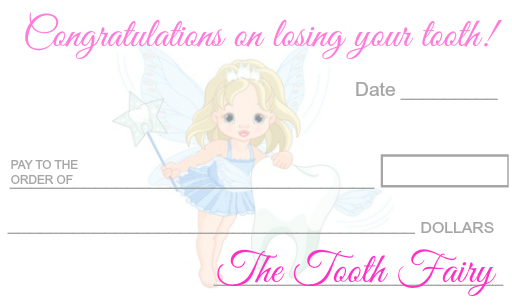 So, after my coffee this morning, I whipped up this little Tooth Fairy Check for parents to use when they get stuck…consider it your get out of tooth fairy jail free card! 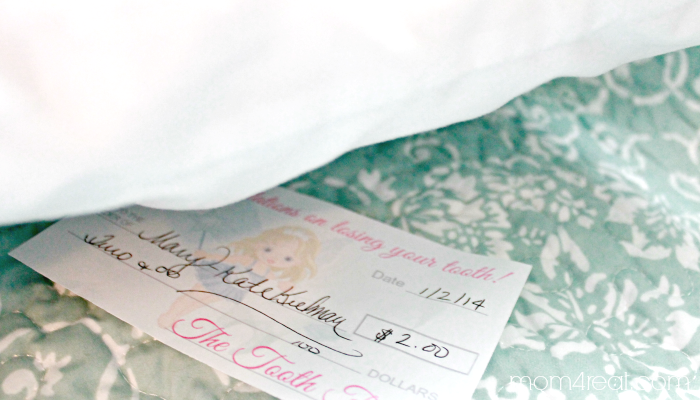 Simply click this link —>Tooth Fairy Check Printable <— to print without watermarks ! Just click the link, then right click the image and select PRINT! Okay girl – this is genius!! Seriously! SUPER CUTE!!!! Thank you. This will come in super handy. Plus what a great way to keep up with tooth fairy memories for the scrapbook. You saved me tonight!!! 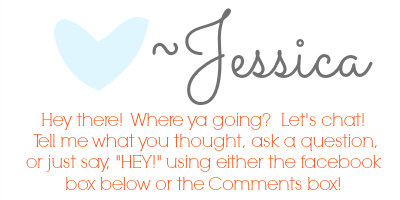 Wonderful idea, so happy to find you on Pinterest, in a pinch! !